Don't you just love florals? 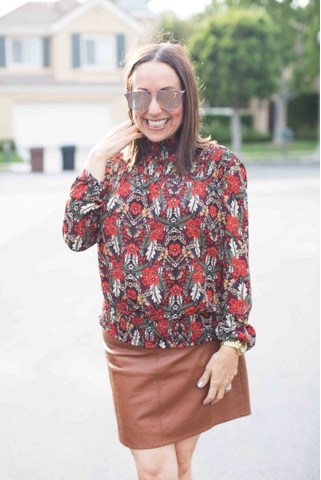 I love florals all year long, especially in the fall. 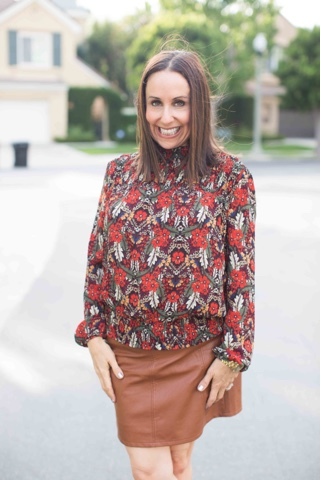 This top from Style society is the perfect floral print with these beautiful fall colors. 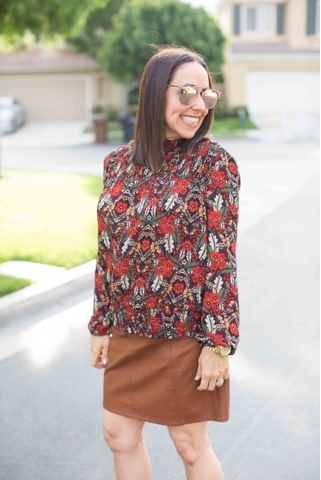 I paired it with this adorable camel faux leather skirt (also from Style Society-- I'm obsessed with this store. You have to check it out) and these fun tall booties. I love this whole color combination. 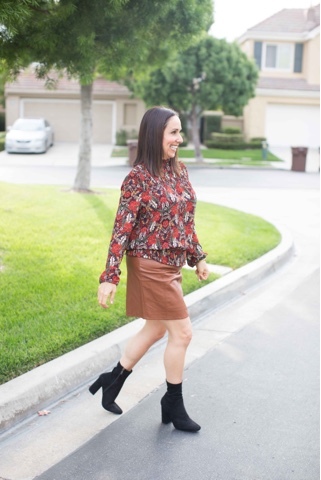 I'm typically a girl who loves wearing her black everything (as I know most of you feel the same), but sometimes it's fun to branch out of my comfort zone and add colors like camel, reds and browns to my wardrobe. I highly recommend you invest in a great floral printed top this season. I also love seeing faux leather in different colors other than traditional black. This camel color is a great option. 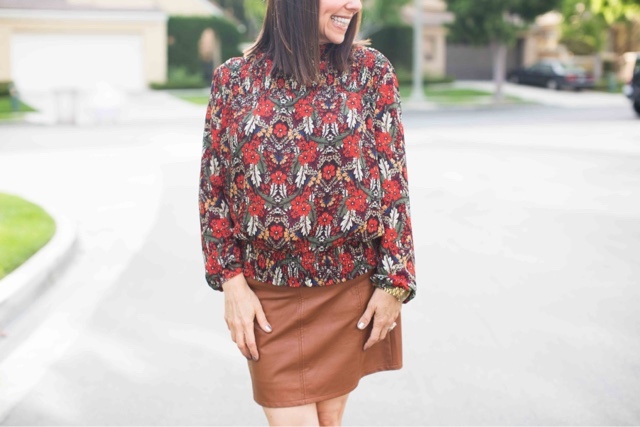 What do you think of fall florals? I would love to hear about it. Thanks to Taylor Cole for photos and Happy Reading!!! You can shop this look by clicking on the links above!! !